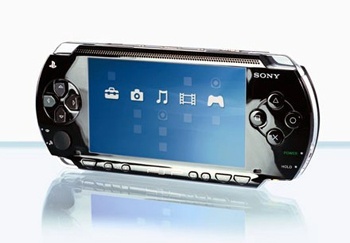 Though the PSP's line-up may feel like it's waning, Sony says 2010 will be a big year for the handheld. SCEA Senior Vice President of Publisher Relations Rob Dyer is thankfully done putting down the competition (for now), and has made a few comments on the future of his own company instead. Specifically, he says big things are going to happen for the PSP this year as far as third-party releases are concerned, and that Sony plans to fix what went wrong with the PSPgo. When asked about the launch of the PSPgo, Dyer told IndustryGamers that Sony's intention was to make purchasing games easier for consumers, and to eliminate some of the piracy issues plaguing the PSP. However, he admits: "Did the PSPgo confuse [consumers]? Yeah, I think the higher price point didn't help matters any either." For those not in the know, the PSPgo removed the previous system iterations' UMD drive and could only play games downloaded through the internet, which cost the same as those available in stores. It was also launched at $249, which some believe is an absurd price even though the system looks quite chic. According to Dyer, Sony is "going back and re-communicating" on the PSPgo, and we will "see a lot of things coming out from [Sony] to better educate and inform the consumer." Sounds vague, but I hope by that he means that game download prices will be lowered in 2010. As for upcoming PSP games, Dyer says: "We still have a very robust lineup this year from third parties on the PSP, starting with Metal Gear Peace Walker. I won't go through the whole lineup because I want our third-party partners to make those announcements, but there are some big, big titles coming out this year and you'll see those announcements at GDC, DPS (Destination PlayStation) or E3." I love my PSP, and Metal Gear Solid: Peace Walker is definitely something I'm looking forward to, along with the Lunar remake and Valkyria Chronicles 2, but other than those three games there isn't a whole lot more on my "to buy" list where the PSP is concerned. The PSP has been somewhat of a refuge for unique RPGs, so perhaps we'll see more of those this year on the platform. Dyer's got me intrigued as to what these "big, big titles" are actually going to be.